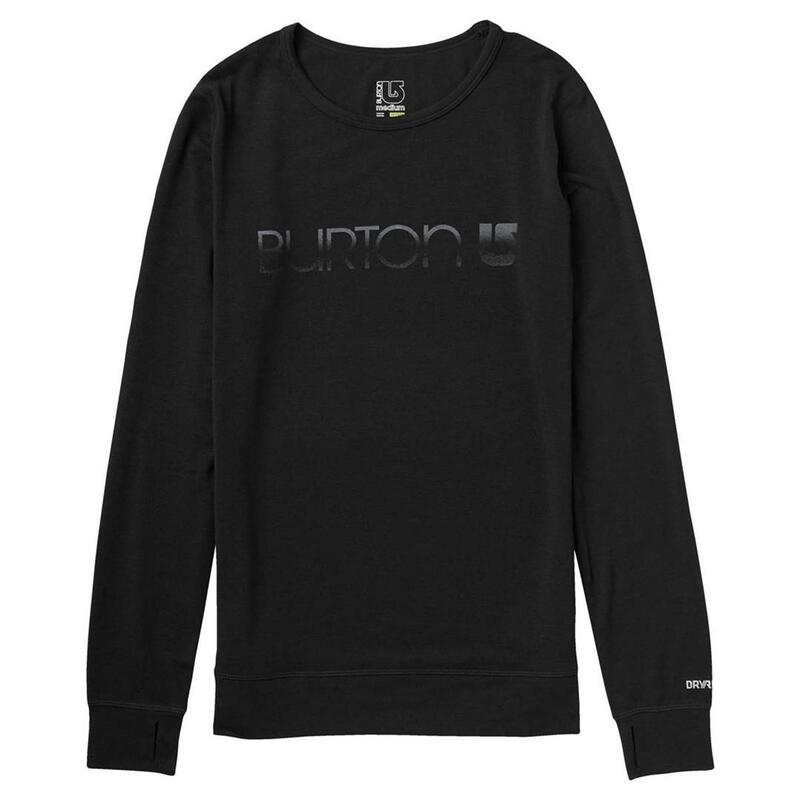 The women’s Burton Midweight Crew is made with DRYRIDE Ultrawick™ Midweight 200 fabric that’s scientifically engineered to pull heat-robbing sweat away from your skin and propel it through your outer layers. You stay dry, warm, and stoked all day, and since its midweight you get versatile warmth that works all season. This midweight shirt comes stocked with added features including UPF 50+ protection against ultraviolet rays, four-way stretch for mobility, a newly enhanced fresh-smelling finish, and chafe-free seams for a friction-free ride.